Facebook is planning to roll out a new version of its Groupon-style Deals feature over the next few weeks, starting with a number of cities such as Atlanta, Dallas and San Diego, according to the company’s director of local. Not surprisingly, the new version of these digital coupons plays on the social nature of Facebook and its ability to influence a user’s social graph. While the social network may be late to this particular party, doing that is going to focus attention on one big hole in the Groupon model: namely, the fact that it isn’t really social. The fact that every step of the process — from interacting with the deal, booking the deal and experiencing the deal — is tied to friends makes it more likely that you’ll have a positive experience. Obviously, a lot of that is Facebook’s spin on why its new service is going to be competitive with Groupon, which has become the 800-pound gorilla of email marketing by expanding rapidly over the past two years into more than 500 markets. The company’s revenues are estimated to be in the $2-billion range on an annualized basis, and it’s said to be planning a public share offering that could value the company at more than $25 billion. 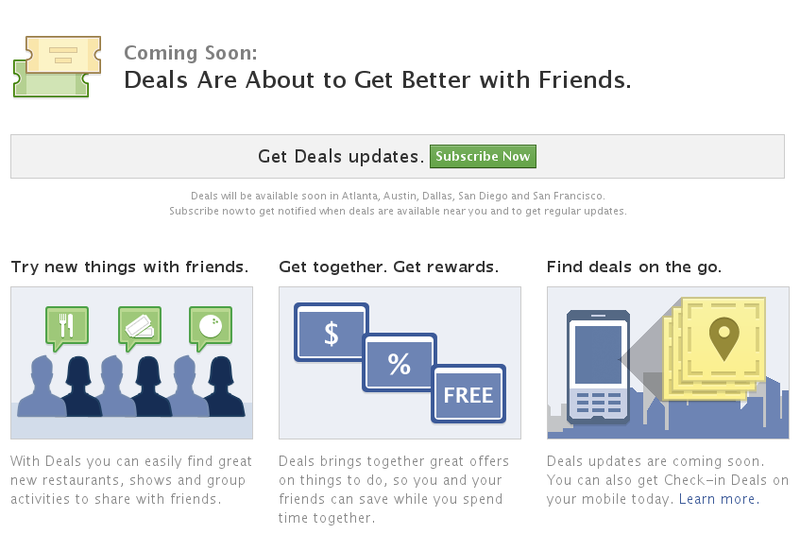 What Facebook is to social networking, Groupon has become to email discounting. That clearly poses some challenges for Facebook, as my colleague Ryan noted recently. But Facebook’s view of its strengths compared to Groupon isn’t just spin. It reinforces that deals from Groupon — and even from competitors such as LivingSocial, which is also valued in the billions of dollars on the private market — aren’t that social. I wrote about one of the drivers behind Google’s reported $6-billion offer for Groupon being the fact that advertising is becoming social, and that is true. And when it comes to being social, Facebook is light years ahead of Groupon or LivingSocial. It’s true that you can see how many other people have signed up for a deal when you go to the website from the email Groupon sends you, and there are some standard web-sharing buttons that let you post to Twitter or say that you “liked” the deal on Facebook. But that’s still not terribly social. What if you could see these deals — and which of your friends signed up for them — right in your Facebook news feed? The immediacy of that, mixed in with the other social signals and activity you are already looking at, could make you more likely to click on a deal, or even to be aware that one is available. Add the ability to comment on a deal, and it becomes something much more social that anything Groupon offers. The news feed — the same thing that made Beacon so appealing, but at the same time so disturbing to some — is Facebook’s not-so-secret weapon, and the new version of Deals is clearly going to take advantage of that in a way it hasn’t before. Competing with a $2-billion monster is not going to be easy, even for Facebook, and signing deals with retailers is one area where the size and scale of Groupon represents a fairly compelling competitive advantage. But Facebook has the news feed and the social graph, and if advertising really is becoming social, that is a very powerful force indeed. I disagree with the premise of the article. Groupon does not have a problem attracting ppl to the deal (its well past that stage, plus the steep discounts ensure that Groupon doesnt require any social angle to achieve scale. Wrong approach. The right approach to compete with Groupon is on the side of the retailers. They are the troubled parties in the whole Groupon drama, losing a huge percentage of what they sell, in the hopes of getting new customers. The concept that will kill Groupon is one that promises and ensures retailers repeat business as part of the discount. Like a TwinCoupon thing. The question of Groupon is, how do you get companies to insert their own ads? That was after the point… Facebook requires a better “company” mechanism, otherwise Google will beat them. Also, a solid mapping path is required. What happens when a few deals that you roped people you knew into go wrong? Why haven’t we sold things to friends before? I think the threat of Facebook getting into this market is more of a disturbance to Groupon than trying to overcome Groupon’s marketshare is to Facebook. I think, like its geo-location feature, it’s assembling the parts of the whole that will make for a much more compelling offer than the pieces alone. At least I hope. It’s a little disappointing to see all the credit Groupon gets in the email deal space. Groupon is nothing more than what Myspace was pre Facebook. To overlook Livingsocial’s impact and future ownership of this market is sad. So what, the boys at Google thought Groupon was a gem, the diamond is LivingSocial. Point to Amazon for seeing that! Joshua Groupon gets all the credit because they invented the entire concept, and made group buying work when nobody else had succeeded. LivingSocial ripped off their idea to make quick cash as simply a cheap clone. Hi Matt–thanks for sharing this. Can you help me–this concept seems so simple so I must be missing something. I question the entire biz model. There is nothing preventing an individual biz from offering these types of 50% off deals (or whatever % they choose) on one’s own website. I readily acknowledge that Groupon/LivingSocial will by default have an audience bigger by a sizable factor, but honestly, what is preventing an individual biz from not doing either Groupon or LivingSocial, and striking out on their own? 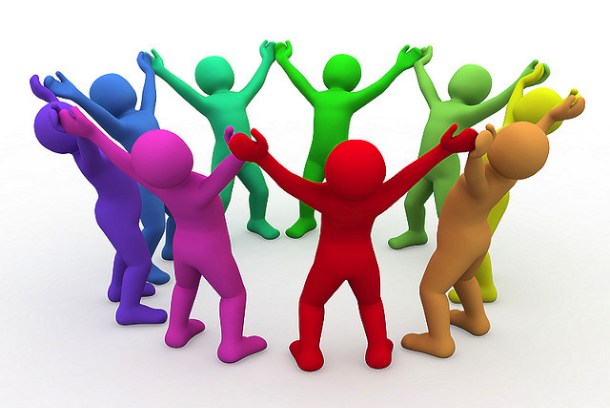 Granted the audience will be much much smaller, but at the same time I believe that the recipients from an individual site will forward an offer to friends who might otherwise not get the offer. And those folks might just take a chance & sign on. So essentially, I think that unless Groupon/LivingSocial, etc. have other offerings up their collective sleeves, I don’t understand what they offer aside from a (massive) ability to reach many more eyes more quickly. Can you help point out the flaws in my thoughts? Many thanks. I think you answered your own question there — it’s all about reach. Yes, businesses can do this, but they can’t reach beyond a relatively small audience, which is why Groupon and Facebook serve a purpose. I agree, Dan. Thanks for the comment.